Patty Hoch-Melluish, Project Scientist, presented on behalf of Kieser & Associates at the 2018 Michigan Inland Lakes Convention on October 5, 2018 in Grand Rapids, Michigan. Patty presented “Protecting the Nearshore through Upland Lakescaping” as part of the Natural Shorelines session. The presentation summarized how development around lakeshores can impact lake health and included best management practices that can be incorporated on individual properties to help mitigate these impacts. Gabby Metzner, Project Scientist at K&A, also attended the conference. 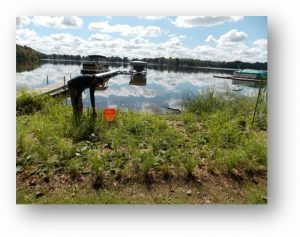 View the presentation slides at: K&A 2018 Inland Lakes Convention Presentation.